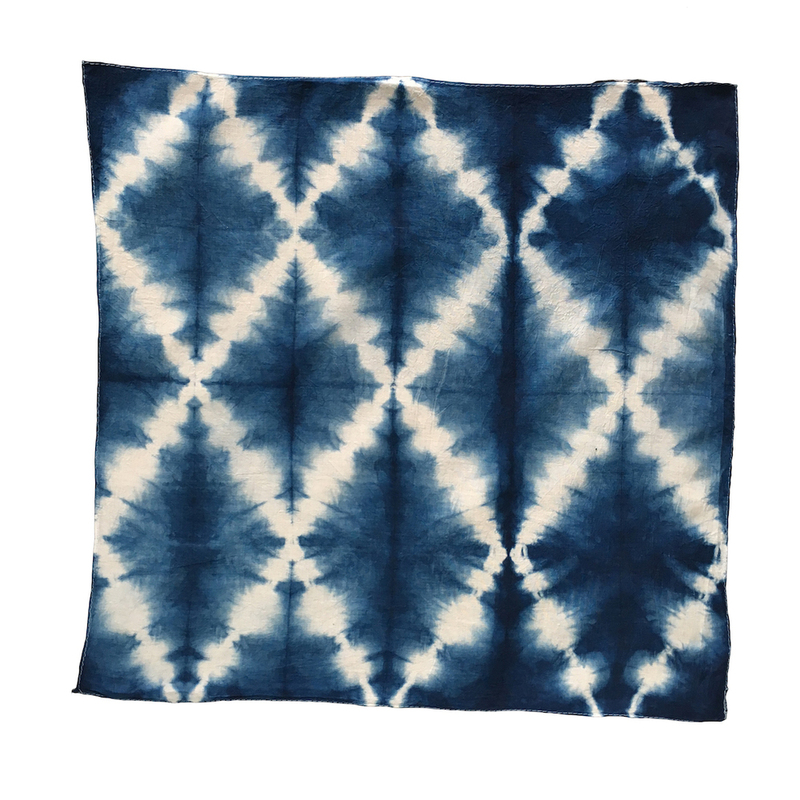 Every Indigo & Shibori Kit comes with a blank bandana, a pair of wooden clamps and a skein of string to tie off your fabric. Here are a suite of examples of patterns that we created in the Natural Dye Kits lab. All images link to lllustrated tutorials on the exact folding methods used to create these patterns. These same instructions can be followed for yardage or garments.